Provide comfort for the family of Susan Lazarecki with a meaningful gesture of sympathy. Susan M. Lazarecki, age 64, former wife and longtime friend of Stephen, passed away Sunday March 24 at home surrounded by her loving family. 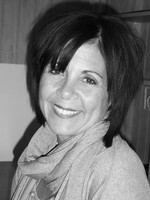 Susan was born in Bridgeport on July 18, 1954 to the late Michael and Shirley (Couture) DiNatale. Susan was a longtime retail leader who took pride in the development of her team. She was determined to drive success and growth. Susan's love for her family and sunny weather allowed her to live in Connecticut and Florida. She enjoyed relaxing on the beach, working in the yard or just enjoying a good meal with her closest friends and family. She was so talented on many levels. Her passion for fashion and design created an outlet for her to express herself. Susan's energy was unapparelled, always on the go, ready to live it up. She loved a good beat and for anyone who was around her was always in for a great time. Words cannot express how missed she will be. Susan survived by her loving daughters, Jennifer Jarrell of Boca Raton FL., Lisa and her husband Matthew Delbene of Stratford, Julie Lazarecki of Milford, step-daughter Carie Lazarecki of Ansonia. Grandchildren; Ryan, Gianna and Rhys. Brother Michael DiNatale and his wife Michelle, sisters Nancy Velazquez and husband Christopher of Stratford and Laurie DiNatale of Norwalk. 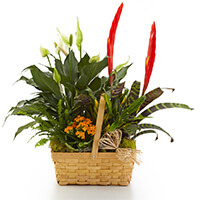 To send flowers in memory of Susan M Lazarecki, please visit our Heartfelt Sympathies Store. Nancy, Randy, Berto and Sweta., Your Trumbull Home Depot family, and others have sent flowers to the family of Susan M Lazarecki. My heart is broken. Thank u for all of the life lessons u taught me. For always being you! For your prayers and the hugs when I needed them the most. You will be so missed Sue! My deepest condolences to this family! She was truly an amazing woman! Susan was always someone that I looked up to, she was my champion at work, She will be greatly missed! my thoughts and prayers are with all of her family at this time. May she Rest In Peace. Nancy, Randy, Berto and Sweta. Our deepest condolences to you and your family and our thoughts an prayers are with you all during this difficult time. Nancy, Randy, Berto and Sweta. purchased the Bountiful European Dish Garden for the family of Susan Lazarecki.